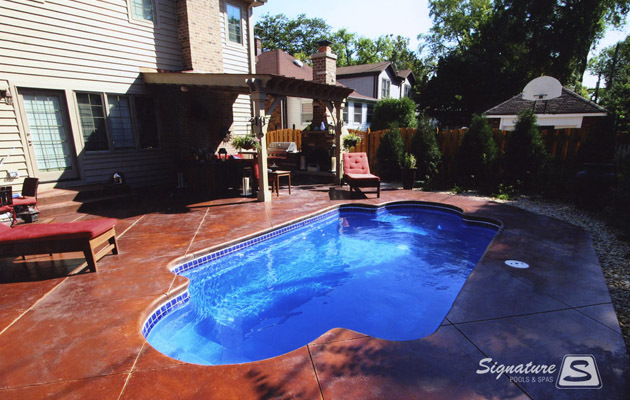 The Roman model pool from Leisure Pools is a classis pool shape that offers a timeless appeal that is simple, practical, and elegant. 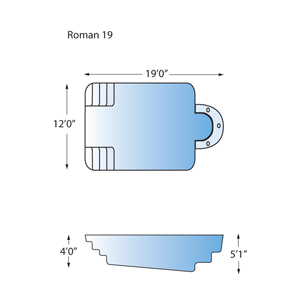 The Roman 19 model features only one end with a circular bench and a straight wall on the shallow end of the pool. 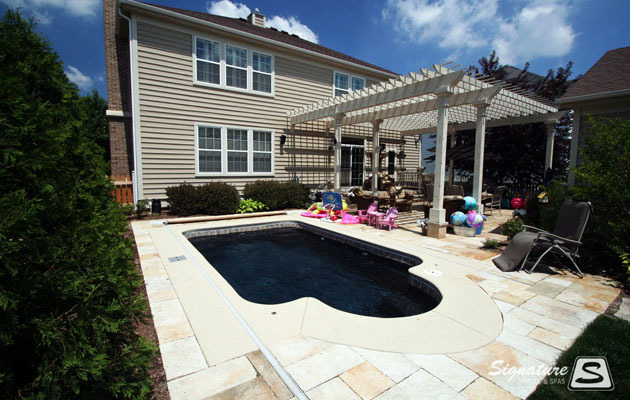 This model is perfect for a backyard with limited space or for a courtard installation. 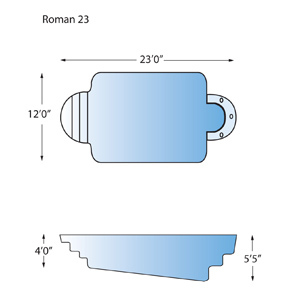 The Roman 23 and Roman 28 models both feature two circular ends. One circular end is where the stairs are located and the other circular end in the deep end of the pool is where the circular bench is located. 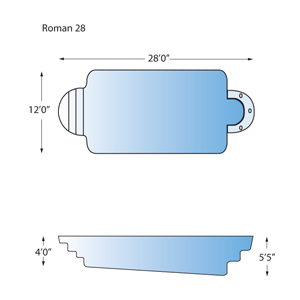 The circular bench on all three Roman model pools can be outfitted with optional spa jets.